Host in computer network refers to the clients or server hosts. The term host used in computing since the early 1960s in connection with mainframe computers. After Computer Networks conquered the everyday life in the 1980s, the term was also used for device connected to a network computers that provided services mostly to smaller or less powerful systems. In addition to the complex operating systems of computers and specialized systems of network devices, routers and print servers can be hosts. Host systems are highly structured and essentially consist of a central processing unit and the terminals are only used as user devices in the workplace and in practice only for input and output of data. 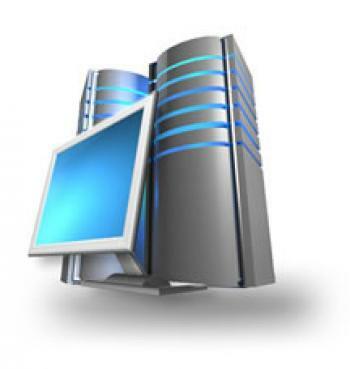 The frequently used synonymous term server, is younger and comes from the field of personal computers and operating systems such as Banyan Vines, Mac OS, NetWare or Unix. As the networking of these computer class practically everywhere found at the end of the 1980s, they sought to delineate the existing host-based architectures, an alternative name for this purpose established the term server. The architectures based on personal computers typically have no smart hosts – in contrast to terminals, where each system has more or less “intelligence”. In this context, computer systems ( hardware and software ), which essentially provide services for other systems is called a server. In the Unix environment, differentiation is apparent at this time, here the workstations and workstation operating systems and their software (mostly console -based) is distinct from servers, server operating systems and associated software. However, both terms are now, at least colloquially synonymous. The concept of virtual hosts in mainframe computers is in use since 1960s, a pioneer here was IBM in the field. On PC based system, emulated virtual machines were first offered in the 1990s, pioneering was here from 1999 from VMware. Virtual hosts can be divided into two groups: virtual hosts on the basis of operating systems and virtual hosts based on emulation. We are not going in to details of each as they has been discussed separately. This Article Has Been Shared 550 Times! Cite this article as: Abhishek Ghosh, "Host in Computer Network," in The Customize Windows, August 17, 2013, April 18, 2019, https://thecustomizewindows.com/2013/08/host-in-computer-network/.